Spirituality will mean different things to different people. Spirituality refers to the exploration of an individual’s ‘inner-self’ or ‘higher power’. Many people think spirituality is focussed solely on religion, however, religion is often only a minor part of spirituality and if you’re not religious, you can still explore your spirituality without any reference to religion. Inner-peace and fulfilment are often terms associated with spirituality, as the concept focuses on listening to your ‘inner-self’ and your true desires. Often, individuals will want to explore their spirituality if they feel they haven’t yet found what’s important to them in life. They may have lots of money, a nice house, a great job and an expensive car, but there may still be an empty, numb feeling inside. In today’s world, it’s easy to lose sight of what’s important and to simply live life day-to-day without really looking deeply at who we truly are and what will bring real meaning into our lives. Spirituality concentrates on exploring our inner wants and desires and can totally transform some people’s lives, offering them a sense of contentment and meaning. Enlightenment is also a term used in relation to spirituality and can be defined as ‘recognition of a meaning to existence that transcends one’s immediate circumstances’. Exploring spirituality is a unique experience for each individual, and how deeply you want to explore is completely up to you. How can receiving assistance with spiritual empowerment help me to explore my spirituality? Establish their inner dreams and goals. Explore what’s really important in their life. Develop a relationship with their inner self. Identify any obstacles in their way and find out how to overcome these. Live in accordance with their beliefs and inner values. Learn to live in peace and acceptance. Gain a deeper understanding of where they are now and where they want to be. 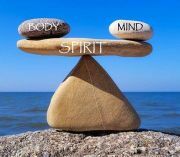 Spiritual empowerment can help individuals to live with a constant awareness of the spiritual dimension of who they are inside and help them connect to their true inner self (sometimes called authentic self or higher power).